Automation system designers have long desired an in-context configurator—one that combines access to solid modeling tools, prices, part numbers, and capabilities in real time—instead of configurators that deliver “fixed” models with no built-in intelligence. Making models intelligent—as well as incorporating advanced snap-to mating features, allowing multiple operational states, and allowing automatic ordering of configured systems—will streamline supplier interactions, save time, and reduce costs. Companies who supply engineered-to-order industrial equipment have also wanted to let customers specify and make changes to layouts using a robust, in-context configurator, because it would enable them to shorten delivery lead-times, save time, and drive out costs. The introduction of the Glide-Line™ brand of configurable multistrand panel—and pallet-handling conveyor solutions meets all these needs. Glide-Line is a subsidiary of NCC Automated Systems, Inc., which has helped clients overcome material handling challenges for over 30 years. Within NCC’s customer portfolio are some of the longest-established brands, including The Hershey Company, PepsiCo, Unilever, General Mills, Starbucks, Procter & Gamble, and Pinnacle Foods. In 2013, NCC Automated Systems launched the Glide-Line brand of configurable conveyors. In 2015, the company introduced the IMPACT! (Interactive Modeling Program and Application Configuration Tools) application for configuring Glide-Line conveyor solutions. According to President Kevin Mauger, the company’s migration from AutoCAD® 2D design tools to the SOLIDWORKS® 3D development platform in 2008—along with Product Development Engineer Ron Schwar’s visit to the SOLIDWORKS World 2016 Conference—made it all possible. Schwar literally walked into the company’s configuration solution when he attended GoEngineer’s GoAutomate technical session at the end of the SOLIDWORKS World 2016 Conference. “Those were the most important 15 minutes of the entire trip,” Schwar stresses. 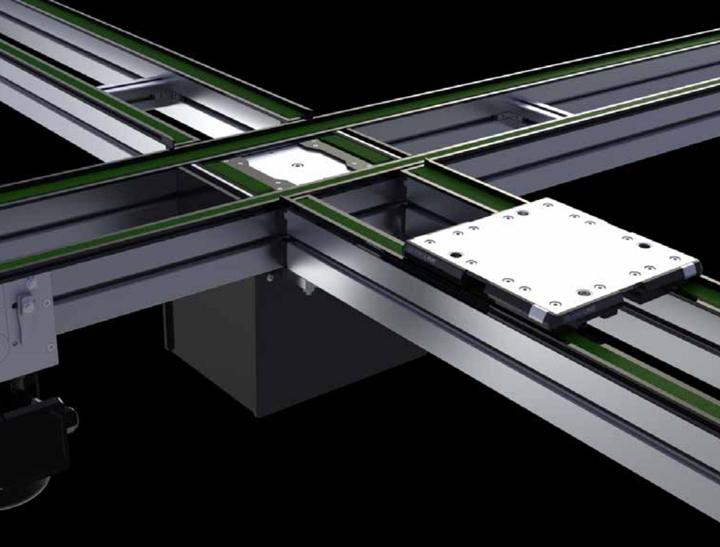 Glide-Line recently introduced the Glide-Line 360 conveyor line, which combines powered-timing-belt-based conveyors working with the company’s family of devices to accomplish almost any type of movement (e.g., orientation change, sort, or shift) in a small space. 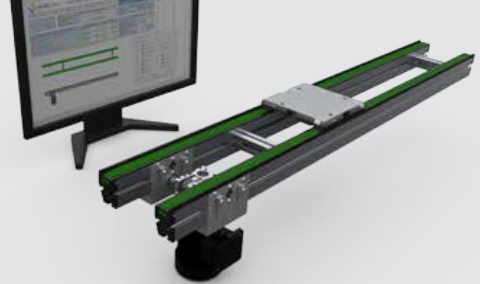 Designed entirely with SOLIDWORKS, the Glide-Line 360 makes it possible to shuttle, divert, merge, sort, stack, lift, lower, transfer, and turn a pallet or pallets cost-effectively. Using SOLIDWORKS and IMPACT!, Glide-Line enables its customers to use their own system configuration data to recommend the best-fit options from a range of SOLIDWORKS models — with literally millions of possible configurations in total — saving time and money in the process. 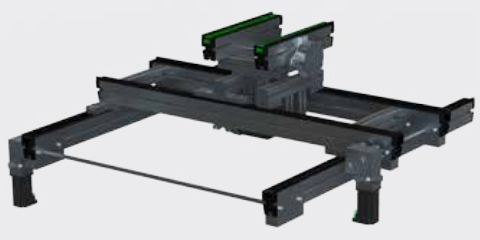 Develop 3D model library of conveyor components, assemblies, and subassemblies, and then combine it with intelligent mating technology via Application Programming Interface (API) manipulation to provide customers with real-time, in-context configuration, editing, and ordering of conveyor designs. Implement SOLIDWORKS Professional design, SOLIDWORKS Premium design and analysis, and SOLIDWORKS Composer technical communication software, and leverage the open SOLIDWORKS API in conjunction with the GoAutomate open-source automation tool from SOLIDWORKS reseller GoEngineer.